The Poseidon Games is an International Hydroflight Tour Series presented by Savvy Entertainment, which will feature the best Hydroflight Athletes in the World. Formatted as an open competition featuring Jet Boards, Jet Bikes and Jet Packs. The Athletes will be judged within each discipline based on style, technique, risk and energy. Athletes will accumulate points at each event within the series leading up to the awarding of the Trident Cup. The Poseidon Games Tour kicks off April 6-8, 2018 in Gold Coast, Australia with Battle at Sanctuary Cove where the first champion will be crowned. The final event in the series will be performed in SIngapore in September 2018. The Trident Cup was born from the idea that hard work, perseverance, talent and dedication should be rewarded. Each “Battle” inside the Poseidon Games will crown a champion. At the end of the series we will crown a Grand Champion and award the Trident Cup. This Champion will be determined by a points system, with points being awarded according to finish placement during each Battle across the series. Jason Gauthier-Head Judge was first introduced to Flyboarding in 2013. Having a full time job he really had no interest in competing at first, but seeing the level of flying increase and the game changing he felt he had to get involved. In 2014, Jason competed in the first North American Flyboard Championship in Toronto. In Toronto he placed in the top eight which was followed by three World Championships with his highest placement being at the 2015 World Championships in Dubai, with an overall finish of 5th place. For now he can’t say he is done competing, him judging is in no way a foreshadowing of that. However, he wanted to see a competition judged from a competitor’s point of view. 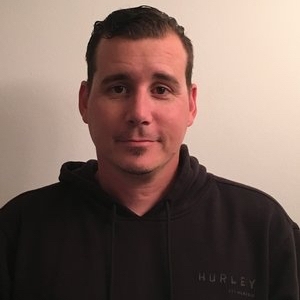 Jason looks forward to sharing his experiences and expertise in competitions and he is excited in helping provide a top notch product and experience for all involved. Paul Bulka-Judge is an experienced athlete and is part of the team that masterminded Flyboards first viral video with Devin Supertramp (YouTube famous videographer) in 2013. Having extensive experience filming not only Hydrosport but also a number of other sports Paul comes with a very unique eye for quality and innovation. Derek Crespi-Judge brings Hydroflight experience to the panel on a multitude of devices and has trained with some of the top athletes in the world. He made his move from athlete to judge during Battle on the Rock hosted in Bermuda. Knowledgeable, experienced and focused, Derek looks forward to seeing what the athletes put on the water during the series. Adrian Boucher Adrian is no stranger to the hydro flight circuit. Having attended multiple Flyboard World Cups, competed and sometimes trained along these fellow judges, not to mention some of the most recognized names in the business, he has acquired an intimate knowledge of the sport.